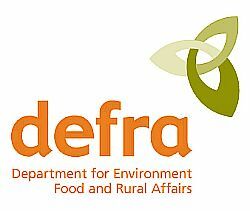 The must-see website for all your pet export information in the UK is Defra’s site, www.defra.gov.uk. This gives valuable information on the process of getting your pet ready and also details of companies that can deal with your pet relocation. The cost of relocating your pet will include vet’s bills, airline freight charges, airport charge on arrival, a fee for transportation of your pet to quarantine on arrival, and a daily quarantine charge. 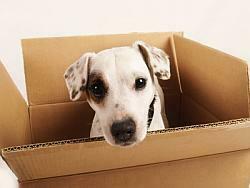 Six months before your pet travels you need to look into the transport carrier who can take pets on board aircraft. At the moment only Turkish Airlines fly with planes that have a pressurized cargo hold in which animals can be transported, so you have to arrange travel on an appropriate flight to Ercan. The requirements for dogs and cats travelling within the EU are practically the same as the entry for animals into North Cyprus, so owners should start the process of obtaining an EU pet passport four months prior to travel. You can find out about obtaining pet passports through your local Veterinary Inspector, which is often your own vet, but if not then they can direct you. At this time you also need to ensure that your pet is micro chipped for identification purposes and is vaccinated against rabies – a note here, and that is ensure this vaccination is done no longer than12 months prior to travel but ideally 6 months before travel because your pet must have a blood test done one month after the vaccination and results can take some time to be issued. Once you have your blood results back confirming that the rabies vaccination is effective you then need to think about the practicalities of your pet being in a transportation box for the flight duration. Turkish Airlines can advise you of guidelines and size requirements for your travel box. It’s also a good idea, if your pet is not already used to using a travel box, to get them used to it by using it in your car for short periods of time for example. An Application for Import Licence is also required which you can find quite easily via the Kyrenia Animal Rescue website – www.kyreniaanimalrescue.org. 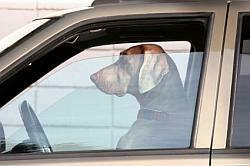 Once you have your licence then your pet is ready to travel! A vet is required to visit and examine your animal 48 hours prior to the flight to ensure that your pet is fit for travel. They can also offer you advice on the best way to take care of your pet before and after travel. On arriving into North Cyprus your pet will then be taken to the government run quarantine kennels which are located in North Lefkoşa. The length of time your pet has to stay in quarantine does differ sometimes depending on the type of pet and its breed, but generally they will be required to stay for 3 to 4 weeks. You are responsible for providing your pet’s food during its stay, and for feeding it, exercising it daily, for cleaning out its kennel and for any bills that arise during the duration of its stay. So, this actually means you have to go to the kennels twice, maybe three times a day for the duration of the animal’s ‘incarceration,’ but hopefully you feel it will be well worth every minute when you get to the release date and you can take your animal home! If you want to take your pets back out of Northern Cyprus and into the UK they will be subjected to 6 months quarantine in Britain. Sadly the British Government, which was accepting all pets from North Cyprus within the Pet Travel Scheme that were properly vaccinated and chipped without need for quarantine, suddenly changed the rules a couple of years ago. So the quarantine issue is nothing to do with North Cyprus! There are plans thought to reverse this decision so hopefully, in time this information will be out of date, so please do check with DEFRA or KAR. KAR are always on hand to answer any queries you may have about importing and exporting animals as sometimes there are grey areas. And always make sure you start the process well in advance of your travel date. Some European countries also require a handler to travel with the pet too, so again KAR are the best people to advise on this issue. For some bizarre reason it is illegal to take an animal across from South to North or North to South. Even if your pet is in the Pet Travel Scheme, it has a pet passport and can travel round Europe, it cannot go from the North to the South even though South Cyprus is now in the EU. And even if your animal has all of its permissions in order for the TRNC it cannot come across the green line from the South into the North. This has something to do with the unique no go, no man’s land situation on the Green Line we believe, and it is also something that many people are campaigning against.